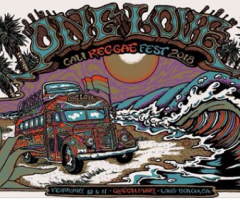 It was a bright sunny Sunday morning that kicked off Day 2 of One Love Cali Reggae Fest 2018. Up first was Law, starting the Main Stage back up from Rebelution's closing set the day before. Across the arena, Roots of Mine's high-energy set got the Flav Stage going bright and early, followed by Thicker Than Thieves and For Peace Band all the way from Guam. HIRIE took the Main Stage next to an already packed crowd, vibing and dancing the early afternoon away. Matisyahu's stage dive and subsequent barrel roll across the crowd was a definite and unexpected highlight of Day 2, to say the least! And, then there was Tyrone's Jacket, whose strong stage presence paired with their signature philosophical stance renders a unique and highly entertaining performance every time. ...everyone couldn't help but smile after experiencing so much overwhelming human compassion and unity. Island reggae was up next with The Green, followed by Arise Roots and The Expanders on the Flav Stage. 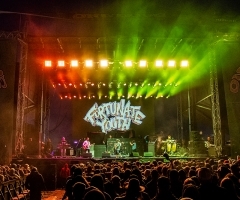 In that same Cali Reggae style, San Diego Tribal Seeds boys kept the party going while political activist Nattali Rize's socially conscious lyrics lifted spirits just in time for OG One Love-rs, The Original Wailers who played the best Bob jams for all to hear. It's all about One Love, one heart after all! Recent GRAMMY-nominee Common Kings killed the Main Stage as Landon McNamara, Jason J and Sammy J all brought their crooning to the forefront. Speaking of crooning, Philly's finest Mike Pinto got the people going in catchy sing-along style as everyone's favorite Stick Figure took the Main Stage, with special guest TJ O'Niell in tow. Keyboardist K Bong even did a crowdsurf! Being in Long Beach, it's fitting that Long Beach Dub All Stars claimed the Flav Stage to uproarious applause before Barrington Levy and Yellowman closed down stage two for the night. Iration came back out for their second performance of the weekend, before headliners Ben Harper & the Innocent Criminals and Nas polished off a perfect weekend of reggae rock majesty. 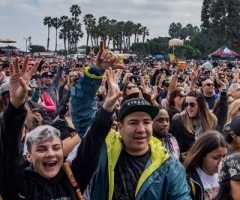 As attendees departed the Queen Mary parking lot, cherishing One Love 2018 final moments, everyone couldn't help but smile after experiencing so much overwhelming human compassion and unity. 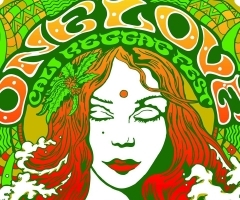 Until next year, One Love Cali Reggae Fest #3 is in the books.